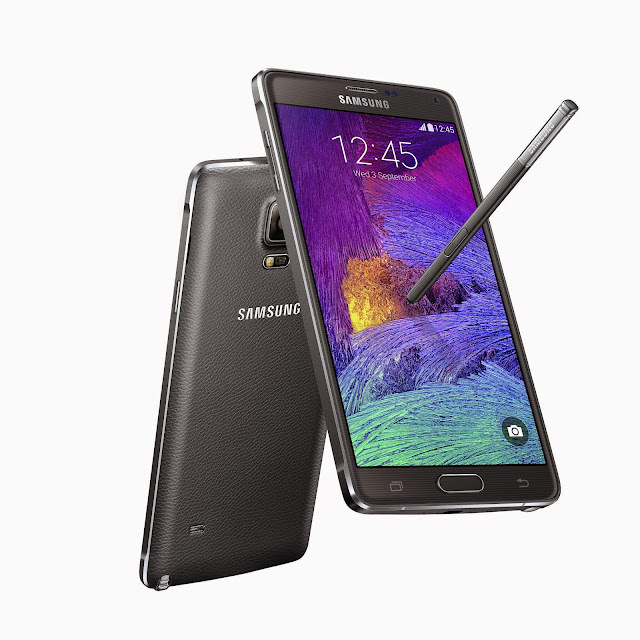 Samsung just launched the Samsung Galaxy Note 4 and the Samsung Galaxy Note Edge at the Unpacked event in Berlin, Germany. The Galaxy Note 4 has a 5.7 inch Quad HD Super AMOLED display with resolution of 2560X1440 pixels while the galaxy Note Edge has a curved display with the similar resolution. Both the phones run on Android 4.4 KitKat and comes with Samsung Touchwiz UI. There is a 16 megapixel camera with 4K recording capability and 3.7 megapixel camera with aperture of 1.9. The international variant of the Note 4 will come with Qualcomm Snapdragon 805 chipset with quad-core 2.5GHz Krait 450 CPU, Adreno 420 GPU and 3GB of RAM along with 32GB of internal memory which can further be expanded up to 64GB via microSD card, supports LTE Cat.6 (300Mbps) connectivity. As expected there’s an Exynos variant which packs an octa-core processor with four Cortex-A57 clocked at 1.9GHz and four Cortex-A53 running at 1.3GHz, Mali-T760 GPU and 3GB of RAM, supports Exynos version gets LTE Cat.4 (150Mbps). 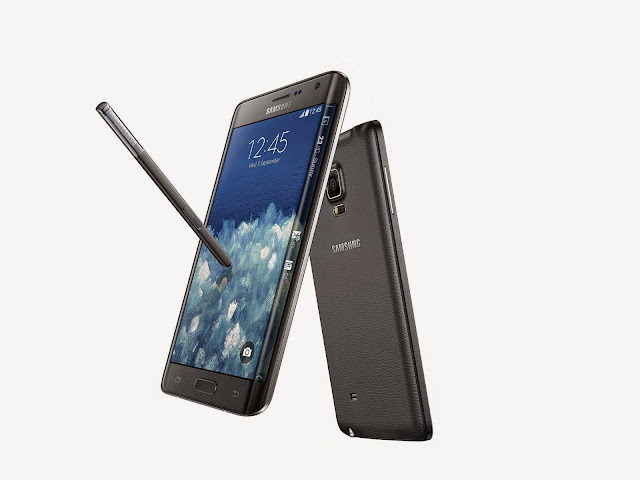 The Galaxy Note Edge is almost similar to the Note 4 just the curved display being the biggest difference. 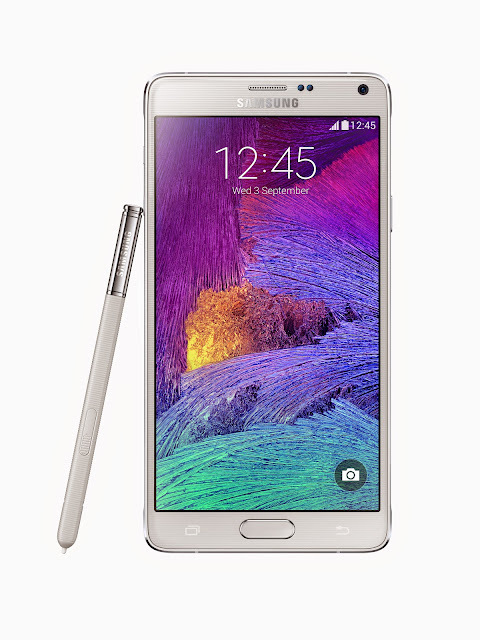 The Galaxy Note 4 and Note Edge will be available in “Charcoal Black,” “Frost White,” “Bronze Gold,” and “Blossom Pink” in global markets starting in October and the Galaxy Note Edge will be available in “Charcoal Black” and “Frost White” in select markets through Samsung’s retail channels, e-commerce and carriers later this year. There is no official details of pricing available yet.